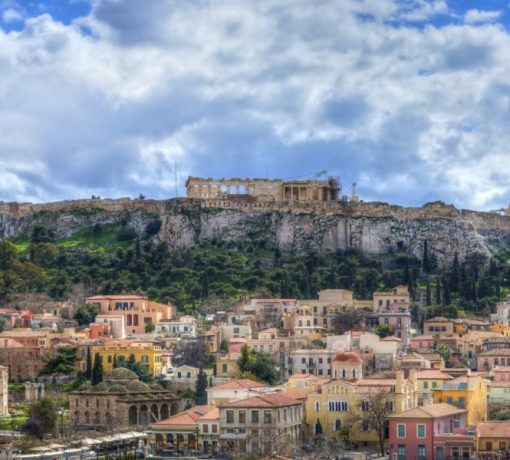 This specially designed walking tour includes a visit to The Acropolis (where you will see the Temple of Parthenon which is dedicated to Athena Parthenos, Propylea which is the monumental entrance to the sacred area, the Temple of Athena Nike which is dedicated to Athena -Apteros Nike, the Temple of Erechtheion which is dedicated to Athena Polias, the Cariatides, Herodeon Theater, the ruins of the Theater of Dionysus, Areopagus [Mars Hill]). Then a beautiful pedestrian walk along the Dionyssiou Areopagitou street until you reach The New Acropolis Museum. The tour will last 4 hours. *On Mondays (in the period of November to March) The New Acropolis Museum is closed so it is replaced by Zappeion Hall, The Temple of Zeus (which is the largest ancient temple in Greece in the Corinthian order), and The Hadrian’s Arch.